We you to know that we appreciate your love, support, motivation and appreciation for what we're cccreating. Remember, Whatever kind of show we're putting on, When The CCCreative Ones Are Feeling CCCreative...They Step 2 Da Mic...Are You Feeling CCCreative? Thinking of a new way to rock those late fashions? 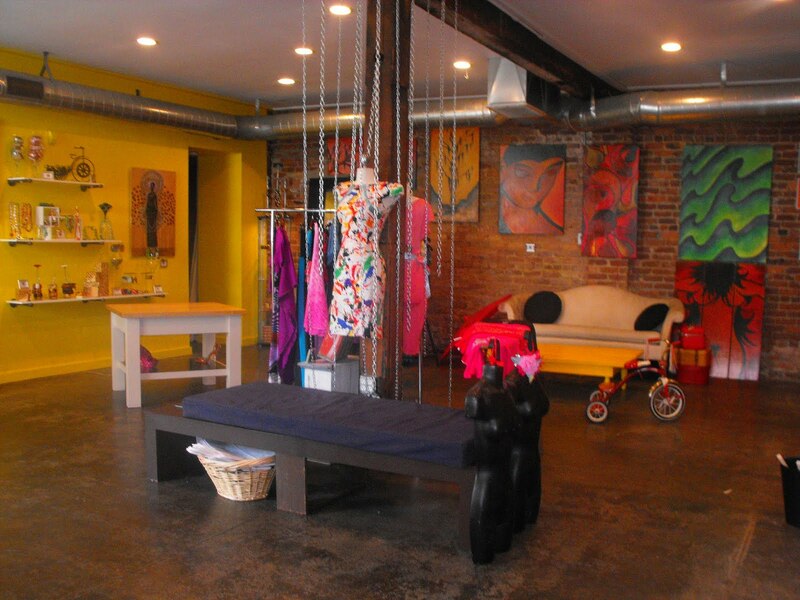 Have some clothes, shoes or accessories that could use some sprucing up? Here's an idea for the CCCreatively Conscious individual who knows that with a little cccreavity, what was once old can be made new and unique to you. 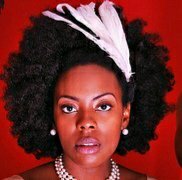 CCCustom Apparel & Jewelry With: Jeffrie St James & AsHaUnTi ThOmPsOn of Amore Kreative & Asante Wa Designs. 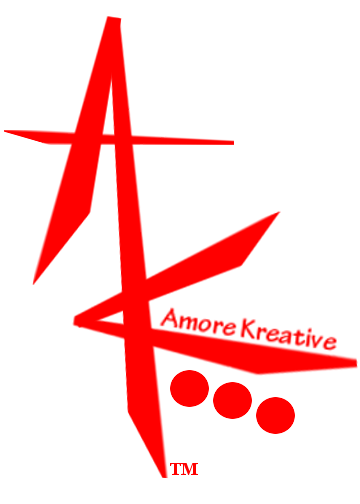 Amore Kreative & Asante Wa Designs Re-Designing Your Wardrobe * Shoes, hats, purses, shirts, dresses, jewelry, slacks, shorts, jeans, hoodies, jackets and everything in between : a R.A.R.E. 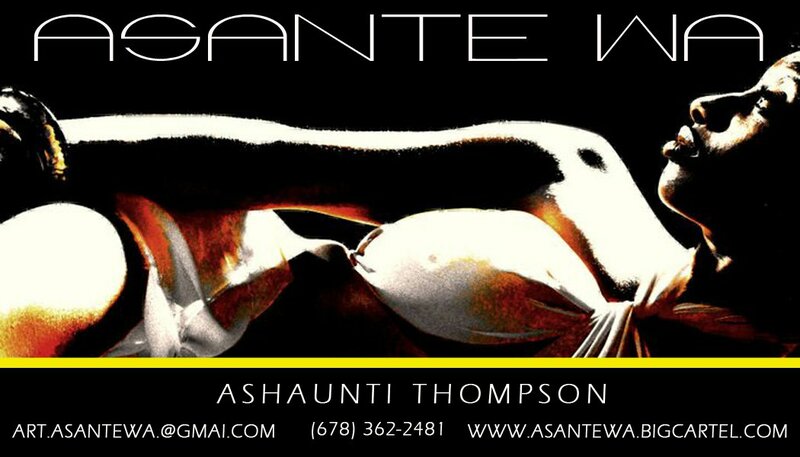 piece of artwork from the flyest of fashionistas : Amore Kreative and Asante Wa Designs. 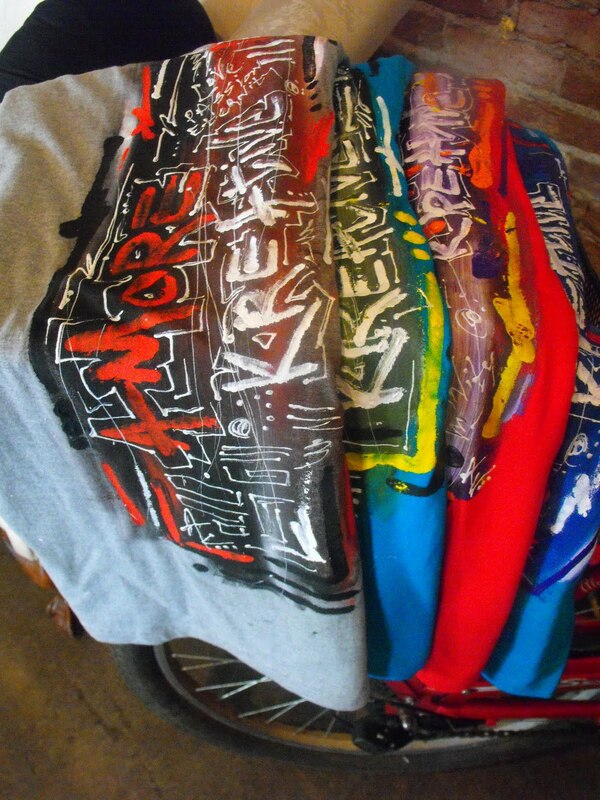 R U R.A.R.E.? Be There. *Limited Press Passes Available: Contact Organizer. 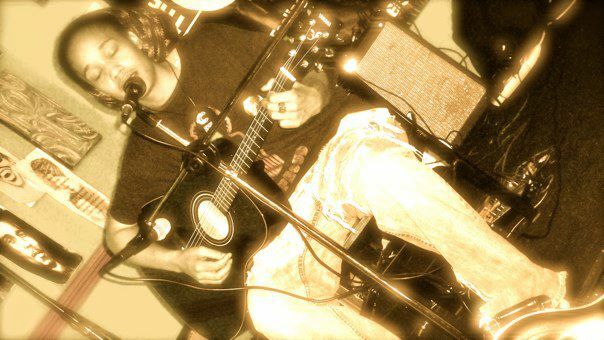 Nefertiti and the nefTUNES is the International inspiration known as Revolution red & the world's #1 Acoustic Gangsterism artist. 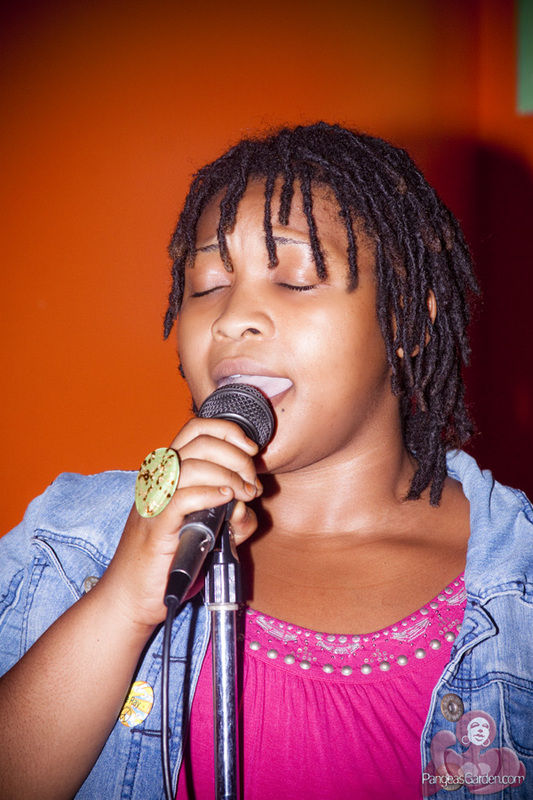 Her songs blend Hip-Hop, Reggae, Rock, Jazz, and Soul into an enchanting fusion that is only exceeded by her natural gifts of stage presence and performance...R U nefTUNED? 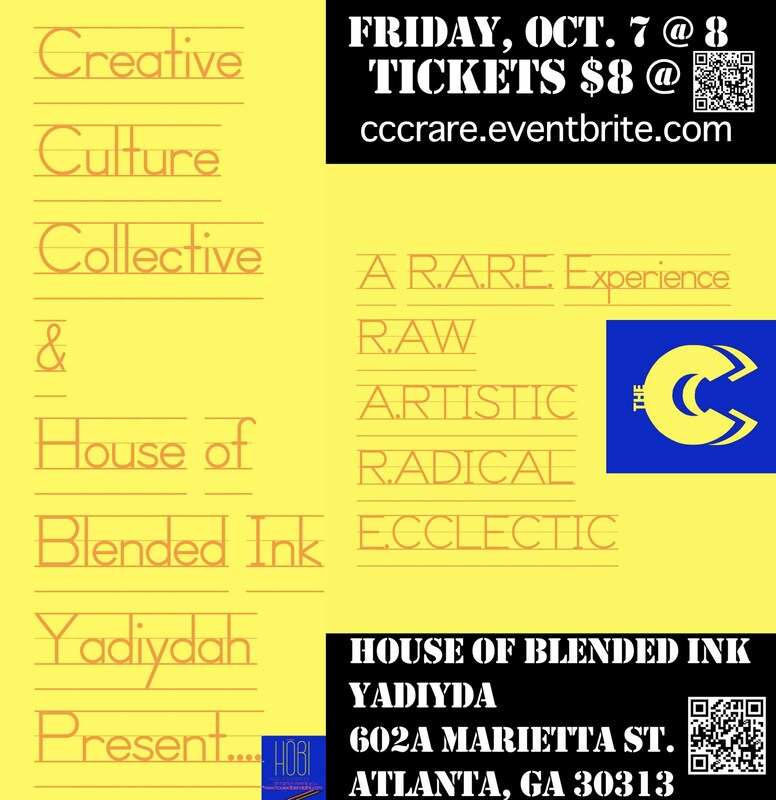 Join Creative Culture Collective & House Of Blended Ink Yadiyda As We Present...A R.A.R.E. Experience ft. AJA RAY, Black Gzus, Justa Sol, Nefertiti and the nefTUNES & More! 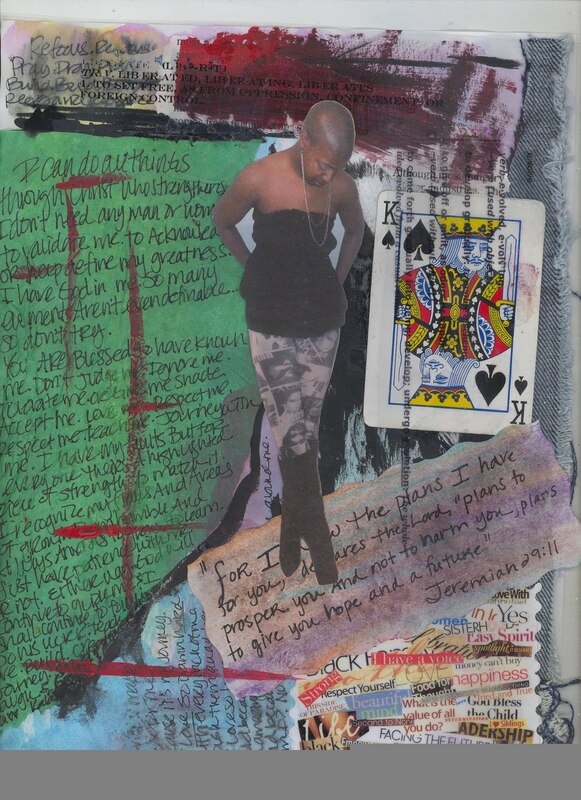 Plus Live Fashion Art From Asante Wa Designs & Amore Kreative And So Much More! 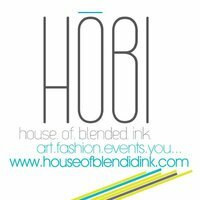 Talented & Inspirational Visual & Performing Artists, Good Food, Great Music, Vendors, & Drinks with Positive People in the Fashion-Forward Vibrations of House of Blended Ink Yadiyda. Friday Oct 7 @ 8p. 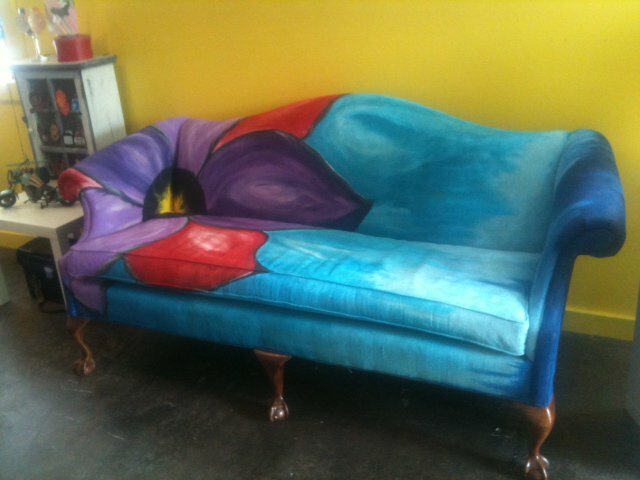 We are passionate about artists and bringing unique styles, designs and forms of expression to art lovers. The Special CCCollector's Edition of The Official Creative Culture Collective Mixtape: The CCCD is available tonight, featuring One-of-a-Kind Original Artwork From The C-Lab & Download CCCodes. 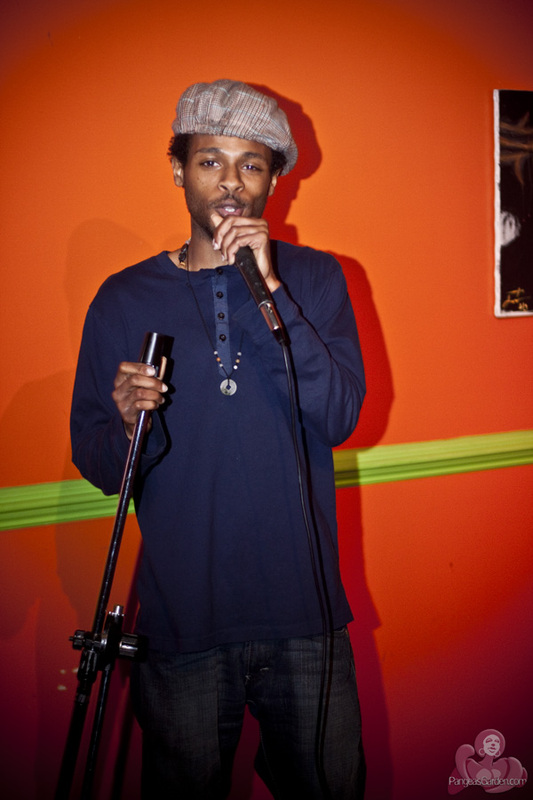 The CCCD features music and poetry from the most talented and inspirational in Atlanta's Independent Artistry incccluding Zayd Malik, Nefertiti and the nefTUNES, Queen Nef, Stori Brooks, Justa Sol, KIN4LIFE, Jeffrie St. James, Arai Kazi, Sahura Ankh Hotep, Solstar Trio, B.I.G. NEL, Tokyo Drift & More! 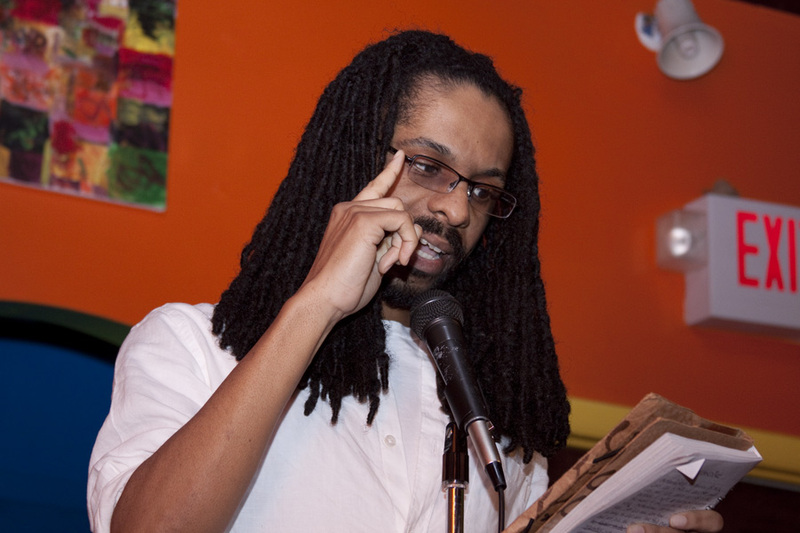 And original CCCreative CCCollaborations with artists such as Jeffrie St. James, Justa Sol & Poet Durrell Lyons. Plus Original C-Mixed Artwork From Wishing Well Media. To know and show that you have been apart of the growth and expansion of Our CCCypher Along the way. Turn off the radio and ride along to these soothing grooves to heal your soul to let you know that real music, real poetry, real people are still alive. You're life wouldn't be the same without The CCC, and we wouldn't be the what we are without you. The CCCD encompasses what it means to be a Creative Culture Collective. Joining together to make things happen, cccollaborating on cccaptivating prose, poetry, paintings, and melodies. Elevating your mind to new possibilites and showing you just what your light cccould be. We are a CCCreative CCCypher of infinite possiblity. Grab The C-Pad2, Subscriptions To CCCreatively Speaking Inter-Active Magazine, CCCreative Acccessories: Necklaces, Earrings, and Key-Chains, The Brand New C-Shirt, Stickers and More From CCCreative CCCulture @ House of Blended Ink & Yadiyda!